I have never really been a fan of biscuits. I always found them to taste too much like baking soda and salt, two flavours I really do not enjoy in excess. It wasn't until I purchased Bobby Flay's Bar Americain cook-book and made his Black pepper buttermilk biscuits that I realized I wasn't supposed to like those other so-called biscuits. These delicious fluffy biscuits have the salty/soda flavour but not in excess! They are well balanced and I was impressed how easy this recipe actually was. 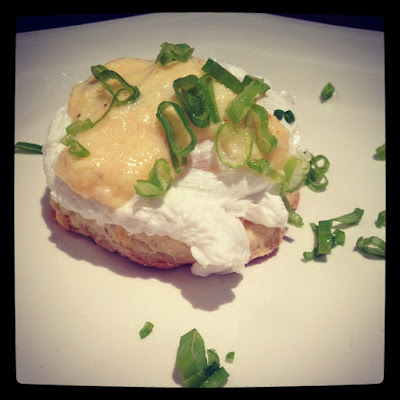 As I tasted these biscuits I couldn't help but picture a poached egg and a very creamy maybe even spicy hollandaise sauce. To my amazement Flay had that exact recipe in his book as well, Poached egg with Cajun hollandaise sauce and black pepper buttermilk biscuit. Obviously I had to have that for dinner, I would have had it for breakfast the next day but I really couldn't wait. These biscuits are so fluffy and really easy to make. As I poached my egg and made my hollandaise it dawned on me, would this dish not taste a million times better with a little hint of aged cheddar cheese. 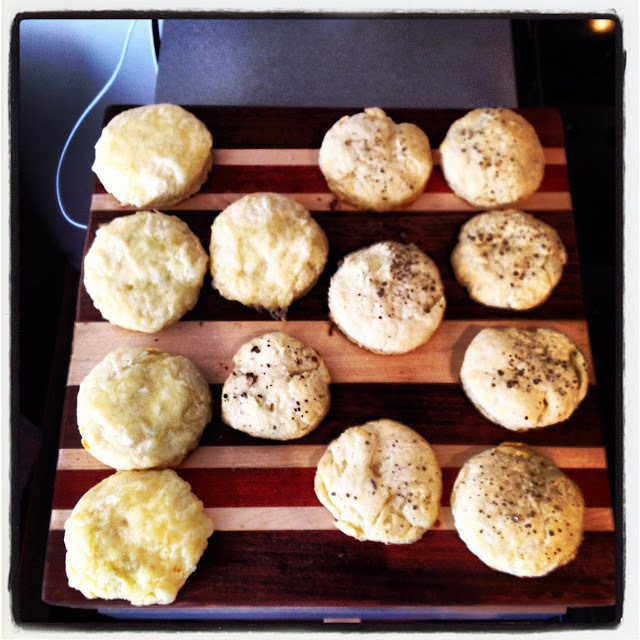 I quickly grabbed a block of sharp cheddar and removed the baking biscuits from the over. 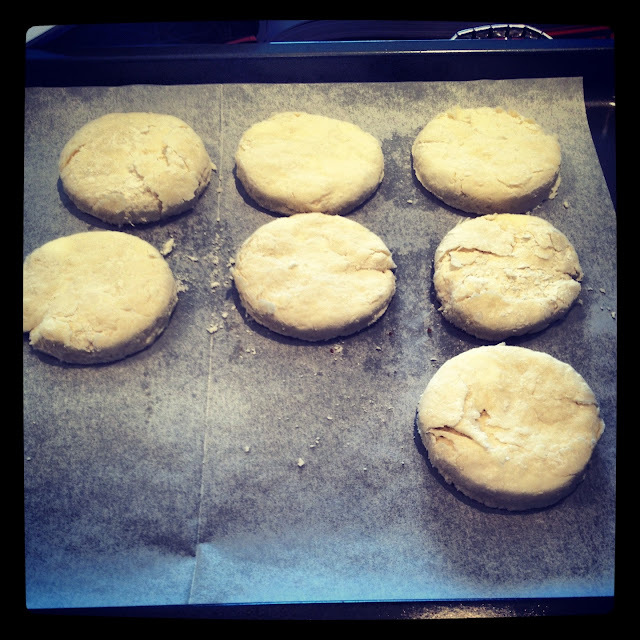 I sprinkled a few biscuits with the cheese and put them back in the over to continue baking. 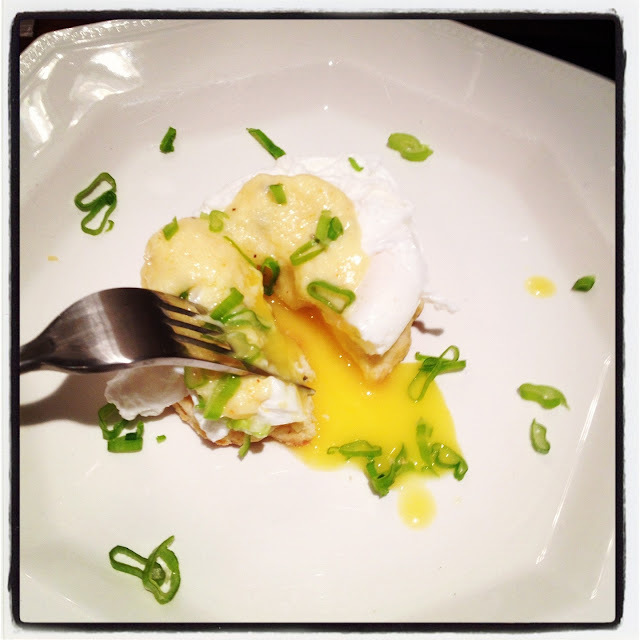 I must say in all this excitement of adding cheddar cheese I forgot about my hollandaise and had to remake it. Oooooppps!!! Poaching an egg can seem intimidating but with a little trick it's actually not so tough. 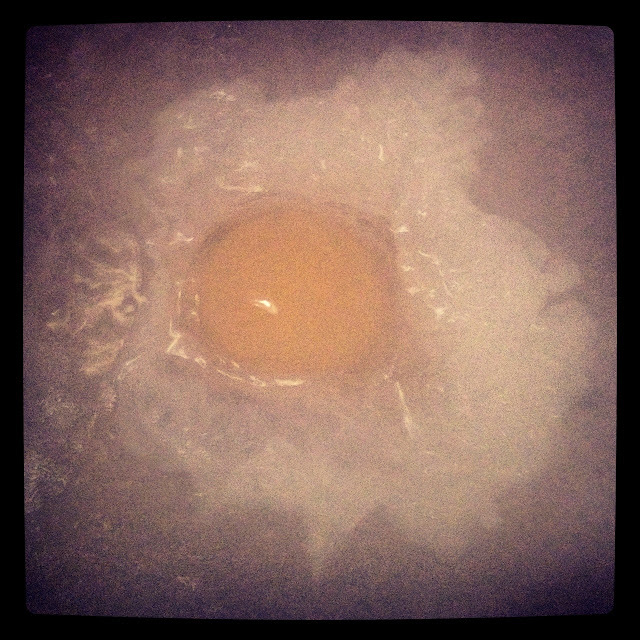 Add a few splashes of vinegar, it helps the albumin proteins in the egg coagulate quicker resulting in a perfect poached egg. Hollandaise, check, poached egg, check, biscuit, check... Hmmm something was missing, but what? Green onions! I finished plating my dish and took my first bite and a burst of delicious flavour entered my mouth. The hollandaise had the perfect balance of spice and sourness, egg yolk was runny but not too runny and the cheddar biscuit, to die for! Using a biscuit rather than a store bought English muffin really made a huge taste and texture difference. Cracked pepper and cheddar biscuit, poached egg and Cajun hollandaise sauce. As I write this blog entry I got up to see if I have enough flour to make the biscuits so that I can re-create this dish all over again. Maybe this time I'll add some bacon! the book are pretty awesome.